I was looking for data analytics guidance for long time. Your blog is very informative. Thank you very much. I have one question that i am post graduate. Doing teaching from last year (2015). If i spend 1 year for prepration as you said you took 8 months to learn, can i get job,? Because i never been in industry before. But i want to join as data analyst. Yes, if you work on the mentioned skills the you will definitely be able to switch to this field ! Hi Akshay, i am delighted to read your post as undergoing through the same situation.2016 passout from chemical engineering with my skills and interest in computer science as well. Currently,working as a catastrophe modeller analyst at RMS,India. and looking to make my career in analytics because i am finding it quite interesting. I want to follow you for my queries where i cn expect replies from you. Its really great of you that you r helping everybody this way n it is really helpful .. Thanks for your kind words. You can write in your queries here and I’ll try to help out to the best of my ability. i would only ask you to please keep the informations updated. I am following the above tutorial same as you have mentioned ..As its very true that online there is lot of information which is very confusing .. now act as a good teacher too .. 🙂 you’re doing good ..
Hi Saurabh, will try to keep these blogs updated as much as possible. Thanks ! Hi Akshay. I have 3.2 years of experience as PHP developer. I want to make my career into data analytics. Could you guide me how can I make transition ? Will I be treated as fresher if I enter into this field ? I have already mentioned about how you may transition into an analytics role. HI Akshay Your post provides a clear pathway to dive into data analytics. Just wanted to know how should a fresher apply for jobs. And do companies,in India, hire fresher for such roles? It would be great if you could provide link to your GitHub account. There are quite a few companies that hire freshers but as mentioned the competition is quite fierce considering the amount of people applying. You need to set yourself apart from your peers, which the blog itself elaborates on. And am learning python for the sole purpose of data analyst. Do you think python is a good choice or should I go for R? Both are equally good. My advise will be to master one of the two. Thanks for so much information as it helped me get a better idea of data analytics. I can correlate with most of the things you mentioned as I am going through a very similar situation. I just completed my b.e. in mechanical discipline and currently working in a manufacturing industry. But I think I am interested in numbers and reasoning and want to opt for a career in this field. So, I just wanted to know that being a mechanical engineer and a fresher in the field of data analytics how can I start preparing for this kind of job role. And please tell me some information on a role of a data analyst in the manufacturing industry. Thanks for writing in and apologies for the delay in response. This will answer most of your questions. Good Luck ! You talked about the growing need for analysts, but then you said that a con of the industry is the heavy competition for jobs. I was excited to think I could make myself valuable in the work force, but now I’m scared that I’ll be wasting my time learning things I won’t be able to find a job doing. How does high demand for workers mesh with high competition? I think this is a very apt question but I feel “if it isn’t hard then probably anybody could do it”. Its about seeing a glass either half filled or half empty! I have five months of experience in analytics. Worked in R, SQL and have knowledge of statistics and supervised learning algorithm. Am currently in notice period and looking for analytics opportunities. This completely depends upon each company. My advise would be to stick to R and SQL and get more in-depth knowledge of data science using them. Ultimately R/SAS/Python are all tools to implement data science and hence should always remain secondary. Hello Akshay!! Is it necessary to have verified certificate if you want to apply in data analyst companies..Even if you have knowledge of that particular subject..Do you have any verified certificate? Not at all. All you need is knowledge which can be gained by any means. MOOCs have a structured format and backed by top universities hence it is an apt choice. Can I go for Analytics Job?If yes,please mention the companies where I can apply.. Such information is easily available on net. After narrowing down the companies please remember that a company will only hire if there are vacancies. So make sure that you specifically apply to those companies that are currently hiring. This information you can easily get from job portals ! I have addressed the very same problem in my blog ! Is it necessary to get a certification in the courses or learn them for own knowledge only ? Although it reflects well on your resume to list down courses from reputed universities (in the starting of your career) but they should be done for knowledge only. I am learning Data science and Big Data Tech for more than 6-7 months, i have been doing most of the MOOCs and things you mentioned but i am struggling to land good interviews for the Analytics(I did got a chance when a Tech team interviewing me for soft Dev was so impressed and recommended me to analytics team for an interview, after 1 hour long interview they said i need more experience and at least a degree in Hand lol, I am in final year), i have 2-3 jobs on my hands but as Marketing automation Associate, Soft Dev etc. I am in my final semester of 4 year Computer Science Program. What can i do at this stage. I know i have what it takes. Should i join the best Job at my Hands and keep trying or Devote More time on My study and Keep trying? I have also gone through this stage and I know it can be frustrating. You need to understand that this might well be the toughest part of your transition. Once you make that transition things will get smoother. I would advice you to keep trying and sooner than later you will get your choice of role. Good luck ! Thanks for writing in. You have already defined your learning path ! This should help you structure your learning path from here on. Good Luck ! Sorry to bother you again but could you tell the difference between work profiles of Mtech graduates with machine learning and those learning from internet from various credible sources ? What is the difference between both of the learnings ? Hi Geetika, sorry I don’t know much about this ! Hey Akshay, I was looking for something exactly like this. To be honest, I did my research but was too shy, read it as scared, to give it a try. Having CS background just for name sake, I will start from scratch and this post motivated me a lot. Thanks for sharing your experience and I Wish you well for your new venture. Hi Akshay. Sorry to bother you once again. Actually, I was talking to one of my friends (probably a discouraging one) regarding the fact that I am learning data analytics. He promptly said that because I don’t have a background in IT/Computer Science I should not learn such things as it will not help in my any manner in context of my career. What is your take on this? I am an electrical engineer working for the past two years in manufacturing which is a totally different field. I want to start my career in analytics. Is it possible to do so? I am enrolling in a data scientist start up course next month, will that be helpful? It is very much possible. Work on improving your skills via any medium and you’ll be good ! I am working as IP Researcher(Intellectual Property). First of all a lot of congratulations for your career shift. I was looking for a good guide to shift my career into Analytics. And your article is the best. I am going to start on your steps and will follow your blog closely. I i need any kind of help i will ask here. Once again a lot of thanks for this article. Thanks for writing in. I am happy that this blog helped you and good luck ! Hi Akshay, this is a very insightful blog and helps in understanding how should one start from scratch. I have one question though. You have listed a lot of MOOC that you undertook. So was there any order that you followed. like first the courses which describe data analytics, then the courses on implementation tools (R/Python/SAS) etc. and so on. Or you just picked up any course in random order. If there was an order, can you please share that. After reading this you will understand the skills that you need to work on. Pick up courses which will enhance these skills. Its best to chart out your own plan. Good Luck ! Hi Akshay, My name is Hemant Kumar. I am MBA Finance and have around 9 Years of Industry Exp in financial Analytic and Business Planning. However, I want to enter into Business Analytic. Please guide me how should I shift my carrer into the same, Which filed of Business Analytics should I move to, What skill set and courses should I take, Will it imapct my exp and pay.Lot of questions. My blog is particularly targeted for people with minimum or no work experience. I myself have about 2.5 years of experience. I would suggest that you take guidance from somebody having experience somewhere equivalent to yours. I follow your blog regularly and its very useful and I am almost very clear with all my doubts. I just want to know the working hours and timings during which data analysts and data scientists works. Will they work on night shifts…? This is a very subjective question and depends upon company to company. I have roughly about 2-3 months before I graduate and I plan to take some courses in the mean time which can add value to my profile. Considering the time frame of 2-3 months, which specific courses would you recommend? I would definitely suggest that you do John Hopkins (R Programming and related courses), Analytics Edge (MIT), Data Analysis and Statistical Interference (Duke). This is the maximum that you can do in 2 months ! I am a BDM in a company. and I want to go into Analytics Sector. I have found your content very informative. Is this enough content to get Analyst job in a company? Then you should be good enough for entry level analytics roles ! Hi Akshay , Thanks for providing required insight on data analysis. I’m currently in final year of engineering , with no interest in being a software developer. I’m at that state where I’m really confused where I’m going with my career or life. I want to start as a data scientist , but all I have is last 2 months and after that I need a job desperately. Is it possible to get a job in analytics as a fresher ? Thanks in advance. How can you have a cracker of a resume if you are just a fresher? What are you gonna show? Are you asking us to lie about our skills? Yes it can be tricky to make a good resume especially for entry level roles. However you can cut down on basic mistakes like exceeding the page limit of 1/2 pages, bad font, grammatical mistakes, irrelevant information etc. Once you’ve covered the basics which many people don’t then you can tailor your resume especially for the company/role that you’re applying instead of using the same template for all of them. Lastly, include self-projects, Kaggle Competitions and MOOCs which you have undertaken to differentiate your resume from the others. This I feel is quite close to having a great resume for entry level roles ! Great article, you provided quite a few links for online materials/ courses to follow. Do I follow them in the order provided or do you have any recommendations? I do not have much knowledge in stats or data science. need to start from scratch. Please recommend. Thank in advance! The courses are not mentioned in any specific order. It will be best that you chart out your own plan according to your specific needs. It is really great to know that the career shift worked out for you. I am a post graduate in Mathematical Sciences and have very very less technical knowledge. I worked in assessments and recently gave up my job for analytics. I am going through the free online courses. Can you suggest how much technical strength should I have before starting to apply for the jobs? Also, many organisations do not consider me as a fresher (in this field) neither do they want to take into account my previous experience. It’s very hard to elaborate on such a broad question with the limited information that you have provided. Can you be more specific? First of all, thanks for the detailed explanation about your path into analytics. By reading your story I somehow fall into your category, from tire 2 college, Accenture, Software engineer, Browsed and researched more on analytics. I have started learning about data analytics, I joined in datacamp online course. Now in the beginning stage of R language. I have plans of doing MS in data science or analytics after completion of this online course, what do you say on that? is it good? The reason why am learning about it before joining is to make myself better that I am fit for the course am taking on MS.
And how did you switched your skills to analytics in accenture? Waiting for your reply thank you!. Thanks for writing in and good luck on your journey to being an Analyst. Masters in Analytics or related discipline is a good option. They do offer good job prospects but I am not so sure about how much technical value do they add to your skill-set. It’s best to do your own research though. Good luck, hope this helps ! I haven’t heard of institutes offering full time MBA in Business Analytics. There are generally diploma/executive courses on it, although I might be wrong. MBA is not essential to get into analytics and I have expanded more on this in my blog as well. I am a BCA graduate and interested in Bigdata Analytics. Currently i am doing a Data Analytics course at Digitalvidya. Can you plz suggest how can i become a Analytics Professional and which master degree will help. Please read the blog, have elaborated on the same point. I have done BBM and MBA in marketing,and am a fresher and not from computer background . Is this analytics job required computer programming languages. Some amount of programming exposure is absolutely necessary. Good programming skills are highly recommended if you want to excel. So don’t fear programming, work on it and become good at it. Will help a lot in the long run ! First of all Thank you so much for sharing such a great info on data analysis for beginners. MY NAME IS AMIT KUMAR, COMPLETED BSC IT IN 2014 AND STARTED WORKING WITH ACCENTURE AS ASSOCIATE SWF ENG AND WORKED ONLY FOR 3 MONTHS. AFTER THAT I HAD STARTED MY OWN BUSINESS WHICH WAS INTO IT HARDWARE IMPORT AND DID IT FOR 3 YEARS.NOW I DONT FIND ANY SCOPE IN THAT BUSINESS AND PLANNING TO GET IN TO DATA SCIENCE BY COMPLETE PG COURSE OFFERED BY REPUITED INSTITUTE WITH PLACEMENT ASSISTANCE OR THE WAY WHICH YOU HAVE GUIDED. NOW MY QUESTION IS DO YOU THINK AFTER COMPLETING DATA SCIENCE COURSE I WILL BE ABLE TO GET DESCENT DATA ANALYSIS JOB IN REPUTED COMPANY AS I HAVE 3 YEARS OF BUSINESS EXPERIENCE(GAP)??? ALSO GUIDE ME HOW SHOULD I PRESENT MY 3 YEARS BUSINESS EXPERIENCE IN CV ??? INSTANT REPLY WILL BE APPRECIATED. IF POSSIBLE PLZ GIVE ME A CALL ON 9029063093. GOD BLESS YOU , KEEP HELPING MATE ! I don’t think I am in the best position to provide any sort of advice here. Frankly if you really want to get into analytics then your best chance would be through an academic course (considering you have a 3-year work gap which can be very hard to explain and you also don’t have any work experience). So try to work on your basic skills, do an academic course (lot are available from reputed universities) and then try your luck to get into analytics. Hope this works for you ! Your blog is really helpful for a beginner like me. I wanted to know that if it is possible to acquire basic knowledge of data analysis helpful for fresher opportunities in just 6 months? Hi Anurag, yes it is possible ! Hi Akshay, I have been in the IT industry for 6+ yrs and been working as a developer.Is it too late to switch to data analytics? I have started going through linear algebra, python & stuff.Just wanted to know if a switch is possible at this stage in my career & what process should i follow? Hi Alankar, I am not in the best position to answer this considering I have less than 3 years of work-ex. Get in touch with somebody with a similar situation, they will be able to guide you better. Good Luck ! Thanks. This is really helpful. My question: Can people with no/less interest into Coding make a career into analytics? Thanks for writing in. Apologies for the late reply, been quite caught up lately. I am sure you know that analytics is an interdisciplinary field where computer science is one of its core functions. You probably don’t need to be a production level coder but elementary to intermediate coding skills are essential. I am software engineer and have 2 years of experience in IT MNC.but also have a carrier gap of 3 years also. I want to swtich my carrier as big data or data scientist. But i am confused which acadamy in mumbai is good for this course or i can prepare by myself at home??? As mentioned earlier, I have no knowledge of institutions providing data science coaching. You are better off Googling this ! That was quite inspiring and motivating. I am also currently working with Accenture and having arnd 1.3 yr experience. I am also looking forward towards Data Science and have got good command over Python and different machine learning algos and different Tools. 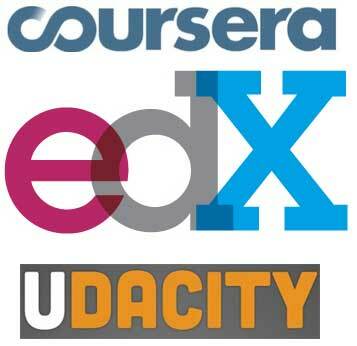 I have taken various courses on Udemy, Udacity , edx , youtube and blogs . Can you provide me a stream line approach how can i combine and make a learning path as this is very vast field and developing vary fast. Also is it good idea to take any PGP course. Also i am bit confuse whether i should go for MS OR NOT. Can you guide me as you might have came across all these things. Last how can we switch from Accenture technology to Analystics. Hi Ashish, I believe we have already got in touch and spoken about this. I have recently completed my bachelor’s in mechanical. I have keen interest in the field of analytics and i have started to learn some basic things from youtube lectures , R programming from https://www.codeschool.com/. I did not get any job from campus placements. I’m planning to give GRE till november , so for the one year gap is it appropriate to do an internship or job? what are the benefits of doing a job in analytics with or without a masters degree? Whether i should get a job and continue with it or do a job/internship for one year and then pursue for masters? I am not quite sure what you’re trying to ask here. If you’re trying to decide whether you’re better off working in this field with a higher degree then I would say it’s a personal choice. It is certainly more beneficial to have a higher degree, especially at later stages of your career, but I have seen people doing just fine with an under-graduation degree as well. If you feel that a higher degree will give you more grasp on the subject then you should go for it otherwise not. Hi Akshay! I am a mechanical engineer who got a job at Accenture as an Associate software engineer just like you.I haven’t joined the company as yet.I am yet to get my joining date and location.In the mean time I am doing a Business Analytics course as I am interested in this field. What do you suggest? Do I join accenture and then switch over to analytics at accenture or do I look for jobs at other companies? Is the transition from software engineer to analyst fast at accenture? I am planning on doin MS in Business Analytics in 2019. I would like to gain some relevant work experience before that. Try to get into a niche analytics firm for now. If that doesn’t work out then join Accenture and work on your skills while you’re in it. There is no guarantee that would be able to shift. Although if you work hard, you will definitely get an opportunity somewhere. Stick with one statistical programming language, preferably Python or R. As you know basics of programming, you’ll be able to pick them up. Not if you can showcase your skills adequately. 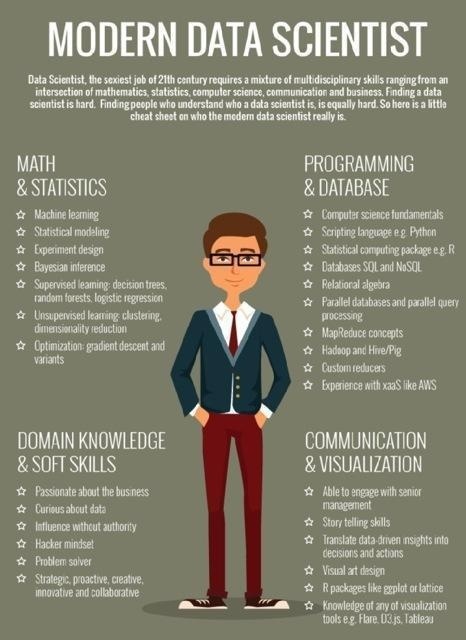 Data science is an interdisciplinary field ! It is a subjective question. but it took me close to 9 months. Your blog was very inspiringin to read. But I would like to know your thought on which area of Analytics is better, as we have different domains in analytics and u having experience in area of analytics, whcih is the most emerging one. We do have analytics in banking domain, in ecommerce industries like eBay, etc, in clinical domain, in Facebook, etc etc. I have done my B.Tech in Bioinformatics and i am willing to move to analytics , so would you please suggest which area of analytics is emerging and even which language like I have bit knowledge of SAS & R, would be best to learn and do projects on so that I can shift my career path in analytics. I am happy that the blog helped you. Apologies for a delayed reply, been quite caught up lately. I believe it is too early for you to worry about the domain you should be targeting. With my experience, it is quite easy to shift from one domain to another if you have good data science skills. So primarily focus on developing your skills and all domains will be open for you. I am a 3rd-year undergrad from Jadavpur University doing my majors in Electronics and Telecommunication. I can relate to almost everything you mentioned in your blog. I am confused between applying for Masters or taking up a job in analytics or coding companies that visit our campus. I got an internship at Siemens but have little interest in core technical stuff. I have enrolled myself in MOOCs for data analytics and Machine Learning and am also started working on a research publication related to computer vision and image processing (using MATLAB). As you can see, I am trying quite a few things but very unsure of how I should proceed ahead. I don’t have a passion towards any particular subject and analytics is one domain that I have enjoyed the most. Also, coming from a typic middle class famly of India, money as a factor is quite critical to me. I would hence be really grateful if you could guide me a with a structured path that I can take up so as to land an internship or a job or MS after the final year and build a career in this exciting field. Thanks a lot and eagerly looking forward to your response! Hi Pallabh, I believe we have already discussed this through other means. Hi sir. I am a UG, B.tech from NIT Trichy, Final year. Firstly thanks for sharing some great suggestions. I am interested in the field of analytics but i am a beginner. So it would be of great help if you could suggest me a perfect start. What course would be a good start for a beginner?? Hi Vasanth, thanks for writing in. All courses which I have mentioned in the blog are for beginners. I am a fresher recently graduated in btech ECE can I step into analytics? Thanks a lot for sharing such an informative blog. I have done B.tech in CSE and completed MBA. I am highly interested in joining Credit Card Company as a Business Analyst (Risk Management). I only have 2 months for preparation. Could you please suggest me what all courses can I take first to crack the interview? How should I start preparing for it? Frankly I have very little knowledge of Banking sector. I would be better if you can connect with analytics professionals from that domain. I m computer science grad completed in 2012…after my engineering I was engaged in mother treatment for almost 2 years…when she expired I already had a gap of 2 years..I was confused at that time what to do ..then I started preparation for bank and SSC cgl but unfortunately I did not get a job in govt even after giving my 3 years precious time..but during my preparation I was doing teaching as well as..I m very good in mathematics ..now due to financial problem n also family pressure I want to get a job in private sector but as I have already 5 years gap its very very difficult to get a job..plz tell me is this possible to get a job as a analyst..wl i be considered as a fresher by recruiter or they wl not give me chance …I think I can explore my career in dis field but I dont know whether I wl get a chance or not..
Hi, please connect with me via LinkedIn. Thank you so much for sharing these insights which no book no course teaches. I am not sure if you are active or i am too late. I am currently working as a Business Developer since 2 years but i really do not need a career in Sales and Marketing. I recently around 2 months back got to know about Analytics and it kicked in that this is what i have to learn and work in as i was inspired by the power of analyzing Data and change the course of Business Growths. The help i need from you keeping 3 months i prepare for the Languages and Tools required for the profile and also compete in the above mentioned links. How sure are you I would get placed in the role as i would not be having any certifications? And can you share any more suggestions to get recognized by companies just like the competitions may be? I am that you found the blog useful. Learning statistical languages is the easier and less important part. Learning how to implement data science using them is essential. You should identify the type of work that you aspire to do and make a growth plan according to that. If you develop good skills then people will hire you with/without certifications.